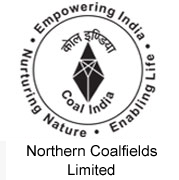 Northern Coalfields Limited Jobs Recruitment Notification 2018.Northern Coalfields Limited, NCL inviting applications for the positions of Overman, Mining Sirdar, Surveyor.Interested and Eligible candidates can apply for the positions. Diploma in Mining Engineering of 3 years duration from recognized Institute. Look around for “NCL Recruitment 2018 for Overman, Mining Sirdar, Surveyor Posts“.